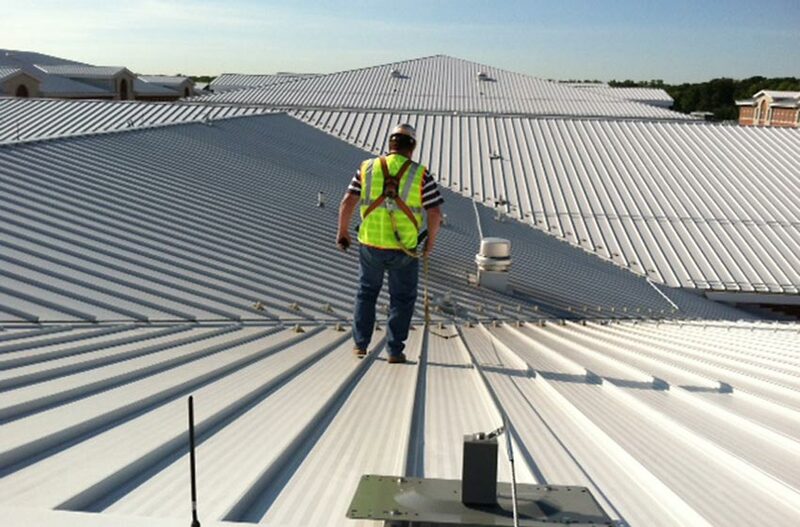 Flexible Lifeline Systems has designed and installed Multi Span Lifelines to provide safe and effective fall protection in a variety of applications for over 20 years. 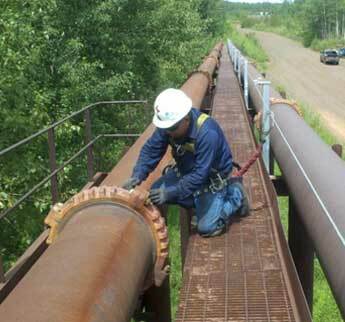 On average, we design, supply and install over 9 miles of cable based lifelines every year. Multi Span lifelines typically consist of a 316SS 8mm cable supported every 30’, with overall lengths up to 500’ or more. 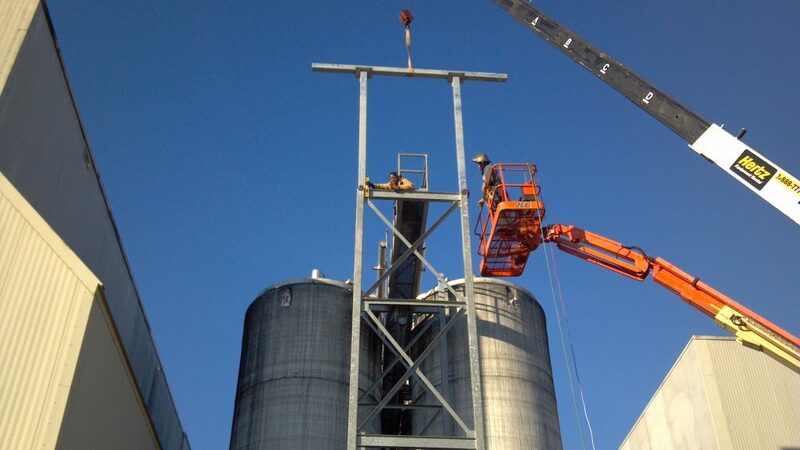 Integrated energy absorbers, turnbuckles and tension indicators manage loads imparted to the supporting structure and the users. 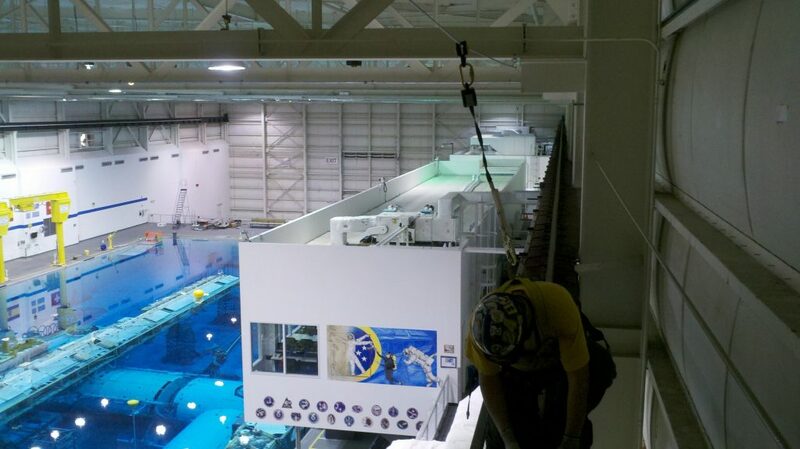 Our proprietary software analyzes the dynamic forces of each system to provide predictable and real world results to ensure worker safety in the event of a fall. 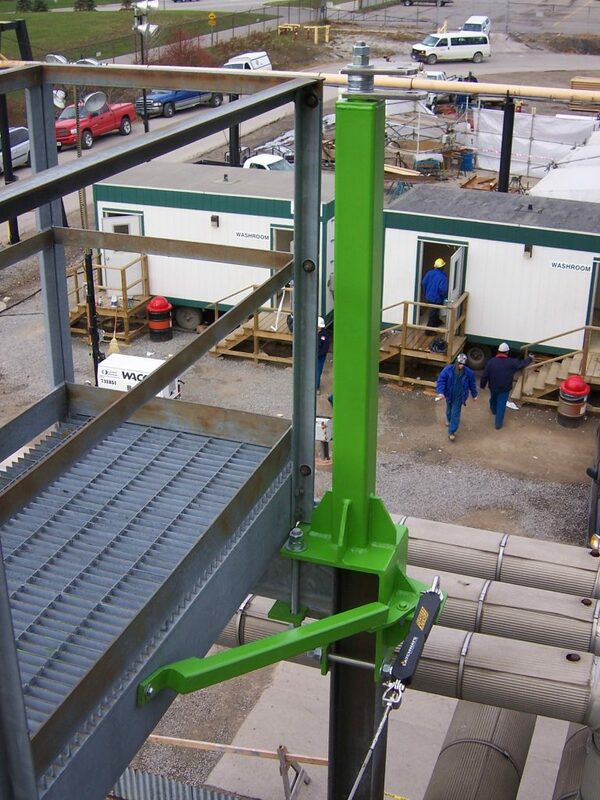 Multi Span Horizontal Lifeline Systems feature intermediate supports and cable shuttles allowing users to pass thru without disconnecting from the lifeline, ensuring 100% tie-off. 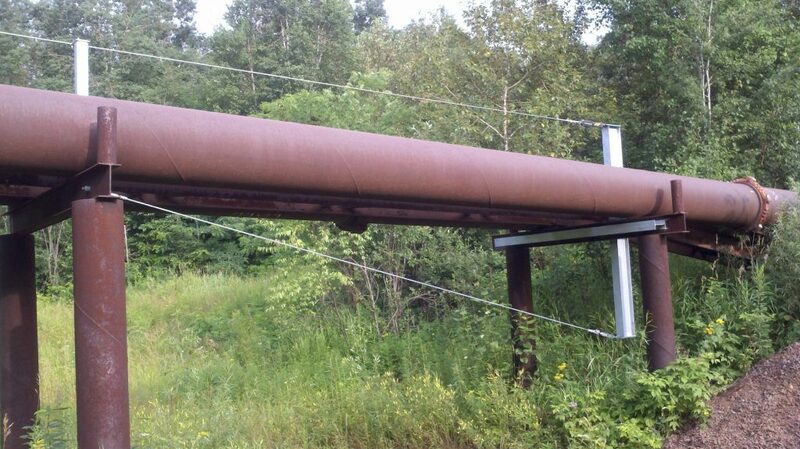 Multi Span Horizontal Lifeline Systems are used in a variety of industries and applications including; roofs, overhead cranes, pipe racks, railcars, water treatment facilities, arena rigging grids and many more. 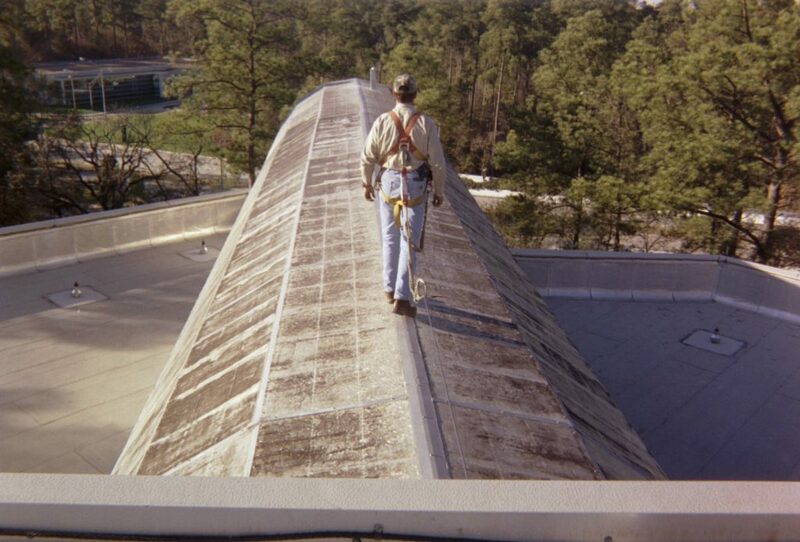 FLS installed approximately 900 total feet of FlexGuard Permanent Guardrail on various areas of the main building roof. 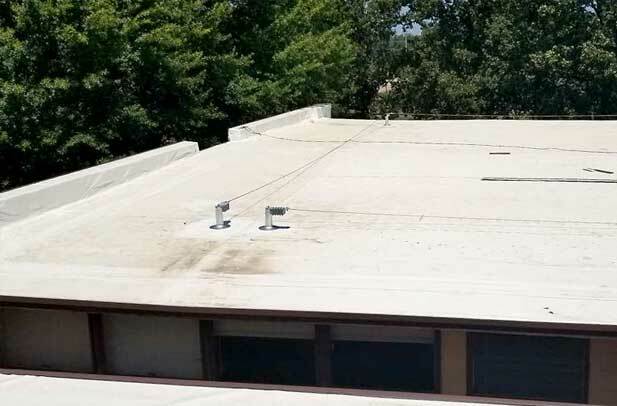 Most notably, the area around the rooftop access hatch was able to be protected by FlexGuard Permanent, due to the versatility and adjustability of the product. 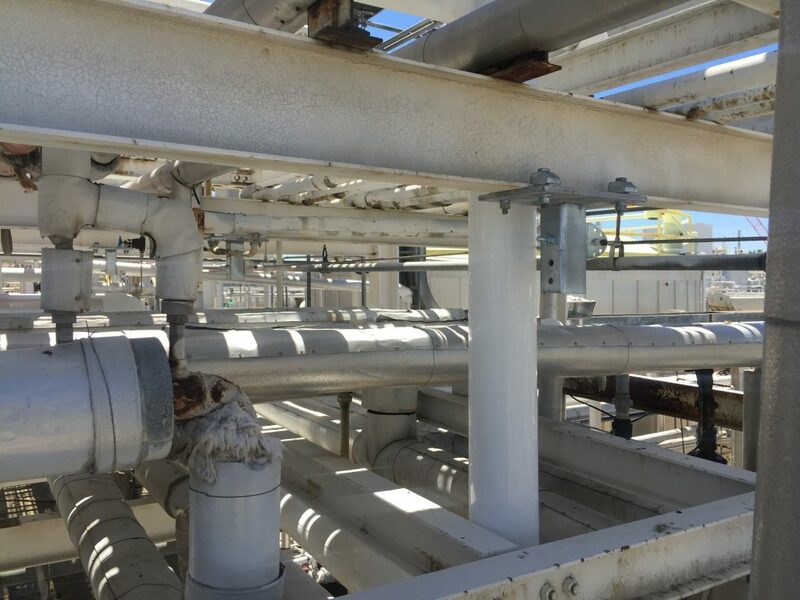 Flexible Lifeline Systems designed, installed, and engineered an 85 feet long Multi Span Lifeline System with eight redirect anchors. 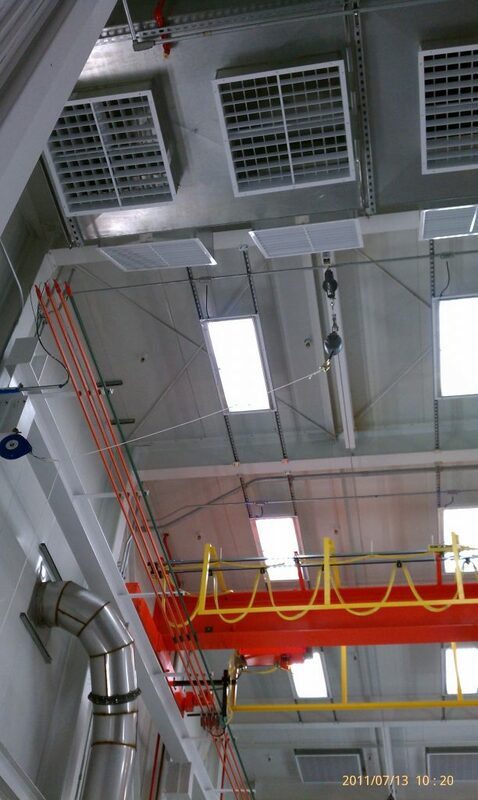 Flexible Lifeline Systems’ scope of work included the design, supply, and installation of four Horizontal Lifeline systems. 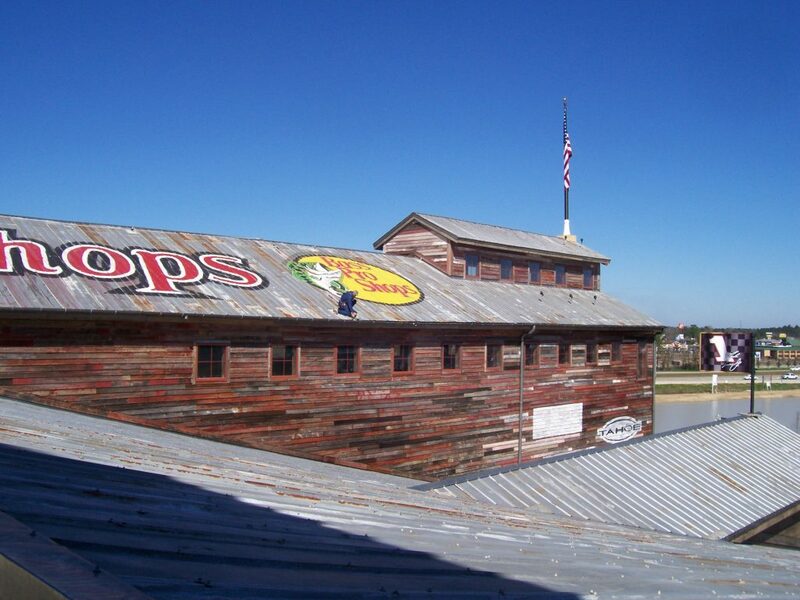 Two systems were positioned on Roof A and two systems on Roof B starting from the hatch and running the parameter of the rooftoop. 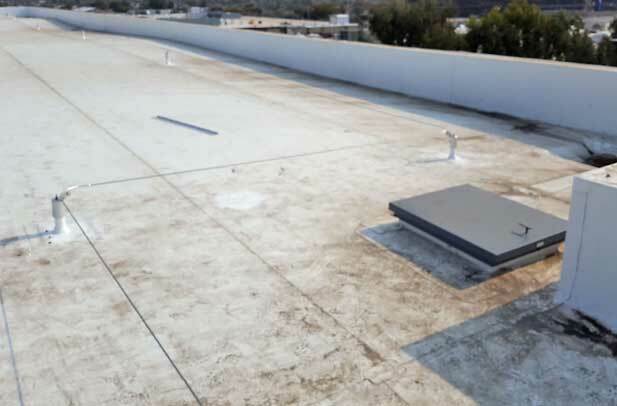 The FLS design included a structural analysis of the new building and a rigorous approval process to prove that the FLS system was a substantial improvement over the system originally specified for rooftop fall safety. 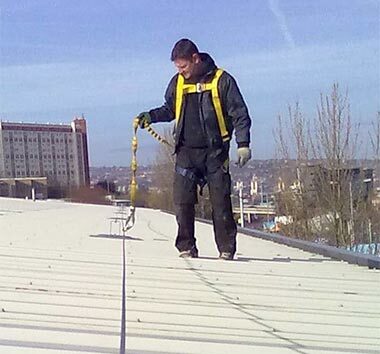 Horizontal Lifelines and single point anchors were needed on multiple rooftops to allow safe access to the roof for maintenance. 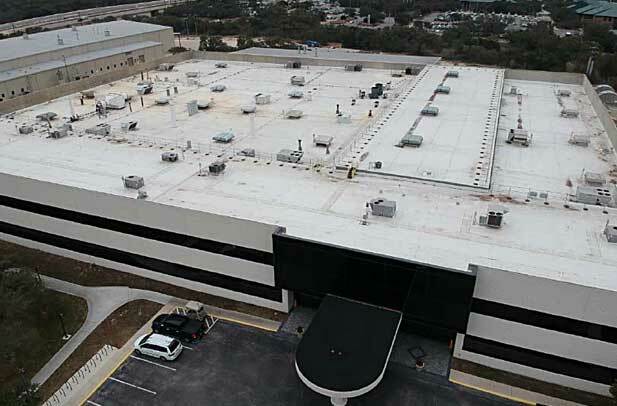 FLS designed three Multi-Span Lifeline Systems (33’, 113’ and 210’) to access the roof on 2 buildings at the Brooks Peanut Co. shelling factory (a subsidiary of Olam Edible Nuts). 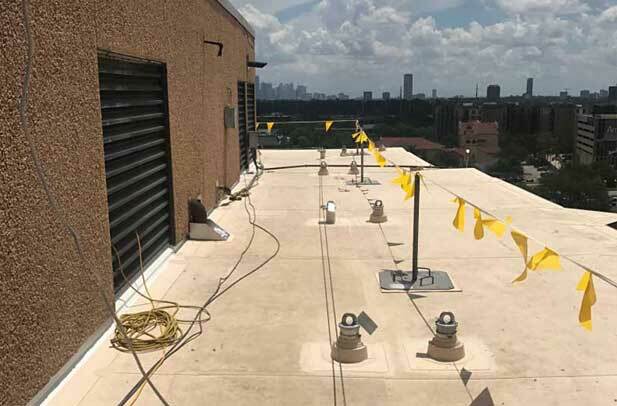 FLS designed, supplied, and installed thirty-four (34) membrane posts (PN LAKL2POST) to the roof deck using toggle bolts (PN LAKL2TOGA) to make a single 1250 ft. Multi-Span Lifeline System. 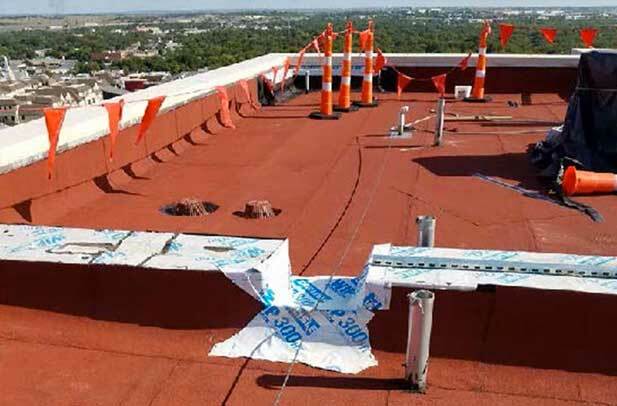 The General Services Administration requested the installation of a new fall protection system that replaced the existing non-engineered system located on the main roof level and to add a new system on the upper roof level. 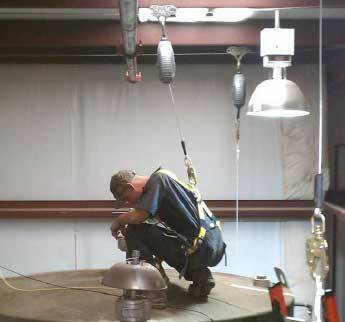 Flexible Lifeline engineers reviewed construction plans and assessed potential hazards. 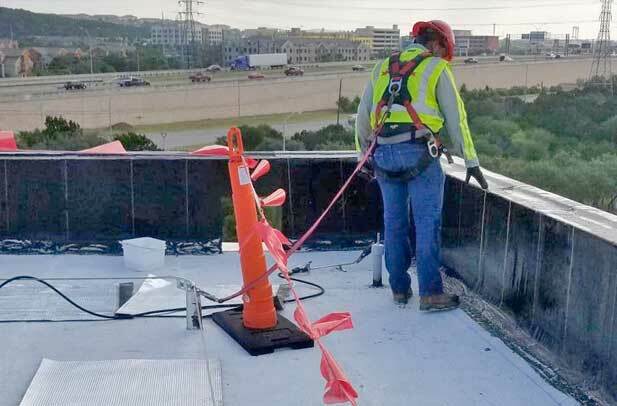 FLS designed, supplied, and installed a Multi-Span Lifeline System totaling about 480ft, located approximately 10ft along the rooftop’s leading edge. 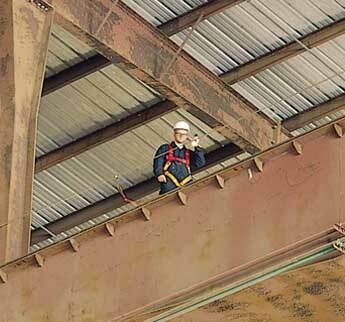 Select below for more information about specific multi span lifelines safety solutions. 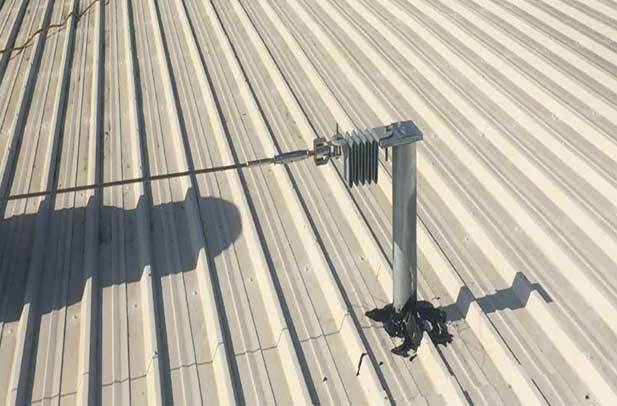 FLS Multispan Lifeline Systems are versatile, economical solutions that equip rooftop workers with continuous, active fall protection. 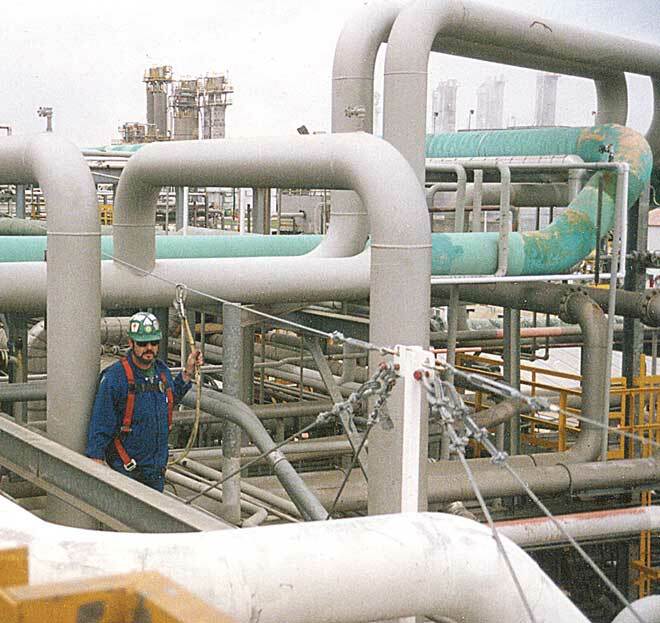 Multi Span horizontal lifeline systems can be design to protect those workers who must access the pipe rack.